Forget air-conditioned gyms for a second. Take your workout outdoors and be trained by coaches who are attentive to your every move and posture even during group classes, courtesy The Quad. Don’t wait till the beginning of the new year to start working out! You could be 15 or 50, it doesn’t matter here — at The Quad. 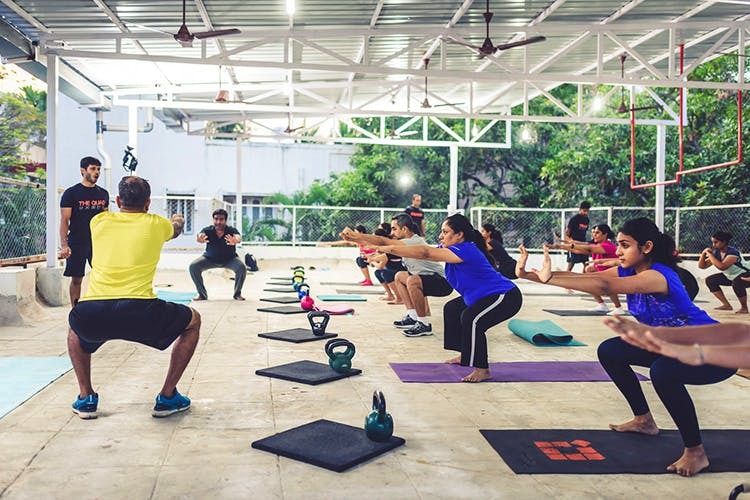 There are four types of fitness programmes on offer at The Quad — The BootCamp, a 12-week programme for people of varying fitness levels and ages; Strength & Conditioning, for seasoned fitness enthusiasts or athletes; QuadPlay fitness for kids aged seven to 14 years and also a nutrition coaching service called ThinkRealFood. At The Quad, each class, every day, ends up being different. They have three one-hour classes at RA Puram, Perungudi and Teynampet in the mornings (5am, 6 am and 7 am). They have two one-hour classes at 6 pm and 7 pm. The Quad focuses on the fundamentals of strength training and functional fitness, while taking inspiration from the successes and failures of various training methodologies such as P90X, CrossFit, long-distance running, Olympic Lifting, kettle bell training, military training and so on — all aimed at helping you lose fat, become strong and feel healthier. Even if you’ve just entered the world of fitness, with their carefully thought of routines and great tips on nutrition and how the body adjusts to new fitness regimes, you’re probably going to end up becoming a fitness freak. And if you want to know more about how fitness and science go together, you’re in good hands here. If you plan on joining do get your own mats (the rains tend to leave the ones at the centre wet all the time) and if you want you can even work out without shoes which we personally prefer.